We offer two rooms for rent – Jade and Lilac. 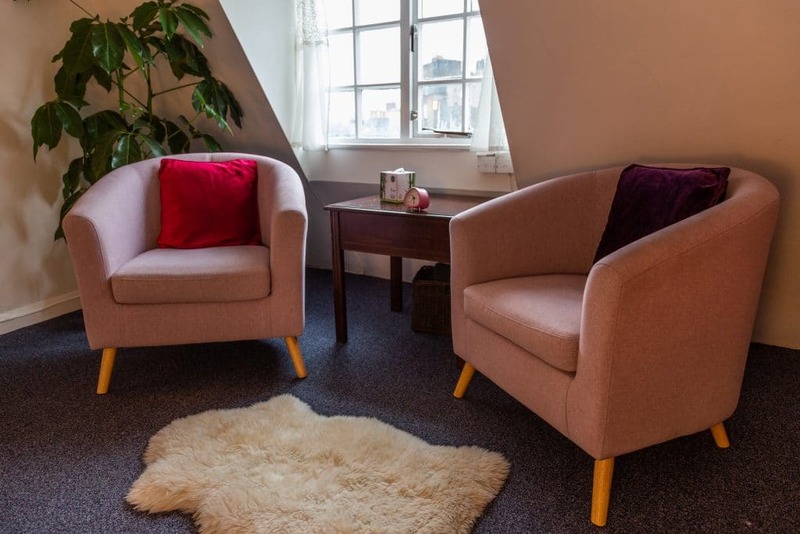 Both rooms are located in the same building as the Yogasara studio, an ethically run, mixed building with therapy rooms and charity offices. 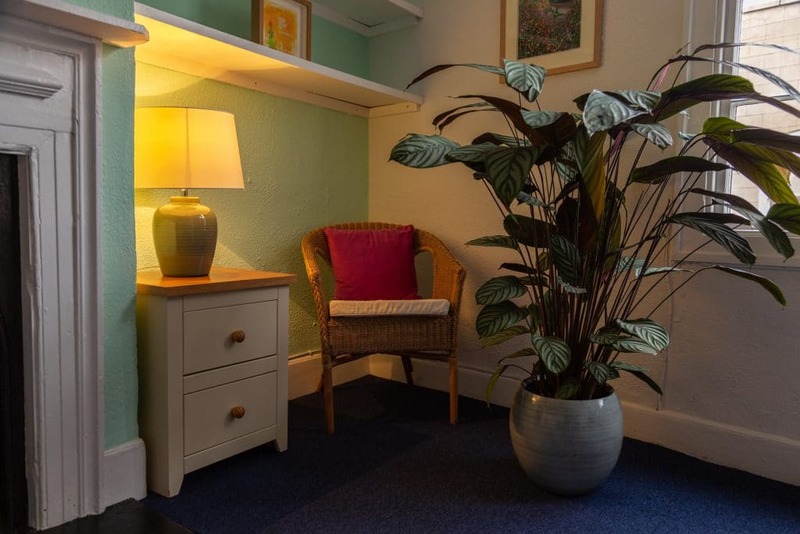 They offer a private, safe and nurturing atmosphere for you and your clients. 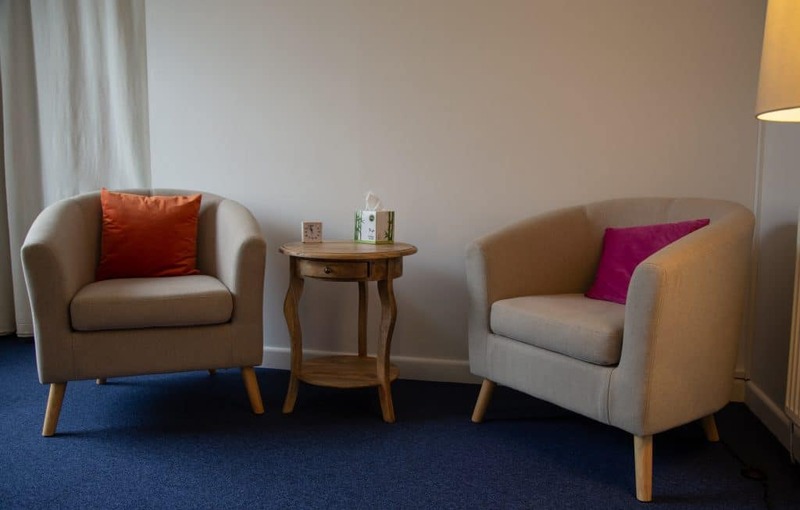 You will also have access to the communal kitchen facilities to make teas and coffees, or to prepare food in breaks. There is a beautiful fruit garden at the rear of the building, plenty of sheltered bike racks, for therapists and clients, and 3 shared parking spaces. 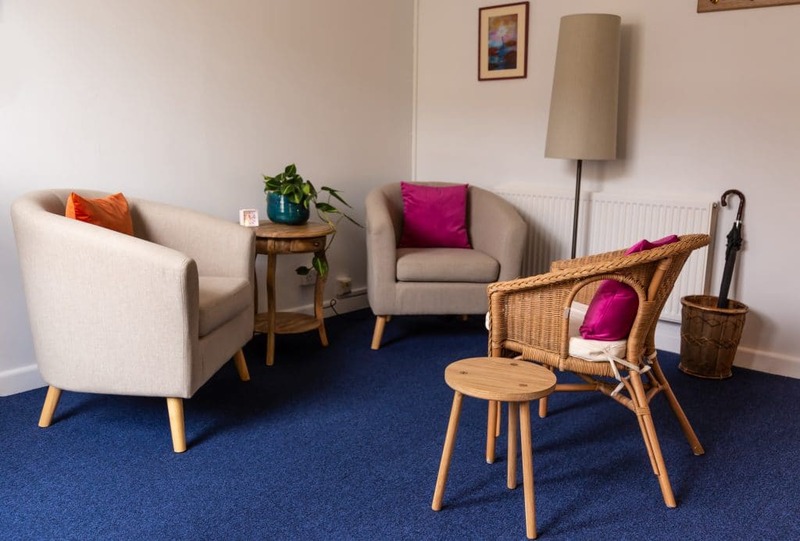 Both rooms have the usual facilities for counselling and psychotherapy, including three comfortable chairs for those that work with couples. 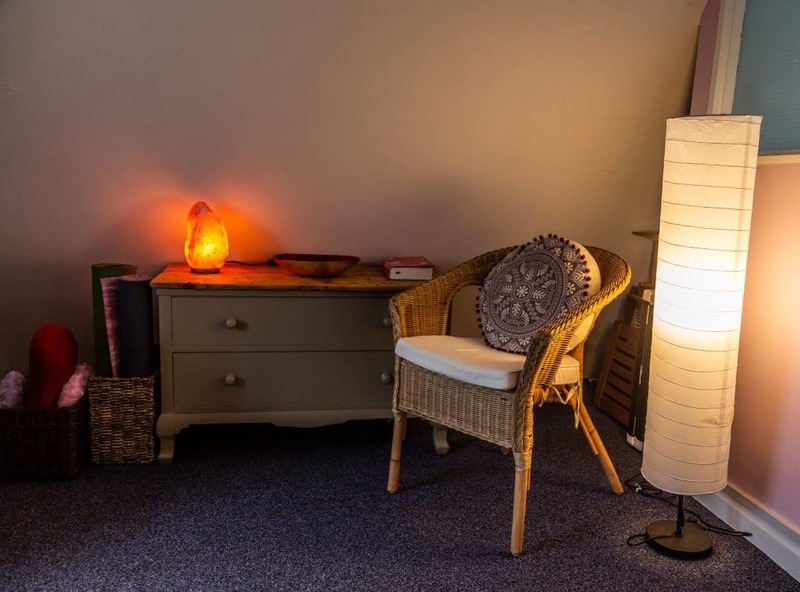 We can also provide a massage couch and/or reflexology chair for those working in those modalities. There is yoga equipment for 1-1s (mats, cushions, blocks, straps, blankets etc). The Jade room is located on the first floor of the building. 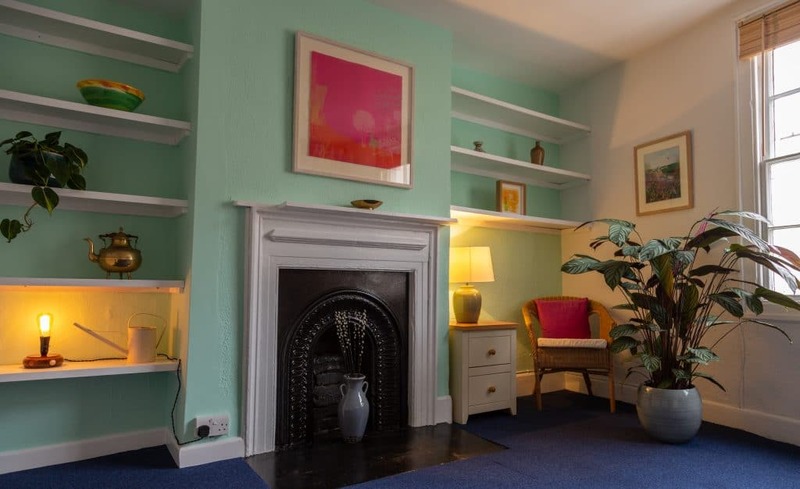 It is a larger room, with an attractive fireplace centrepiece and decorated in a relaxing shade of green. It has lots of natural light, high ceilings, and ample storage space. 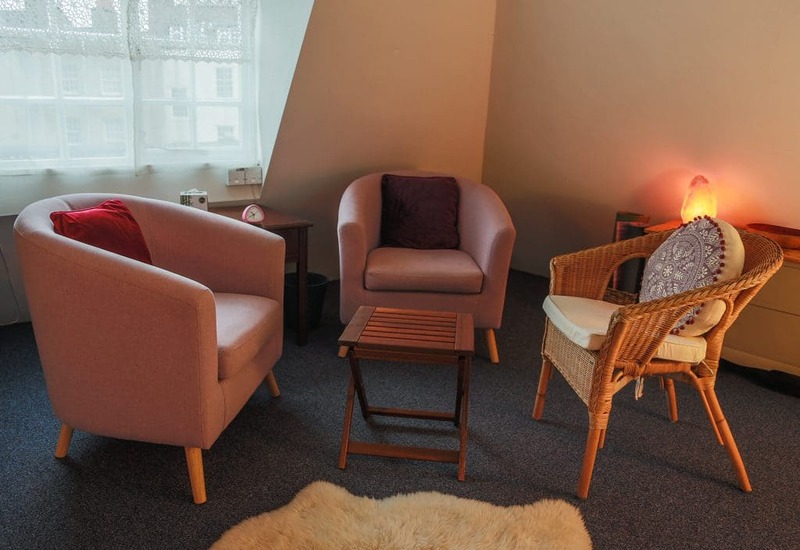 The Lilac room is a cozy space located on the third floor of the building. 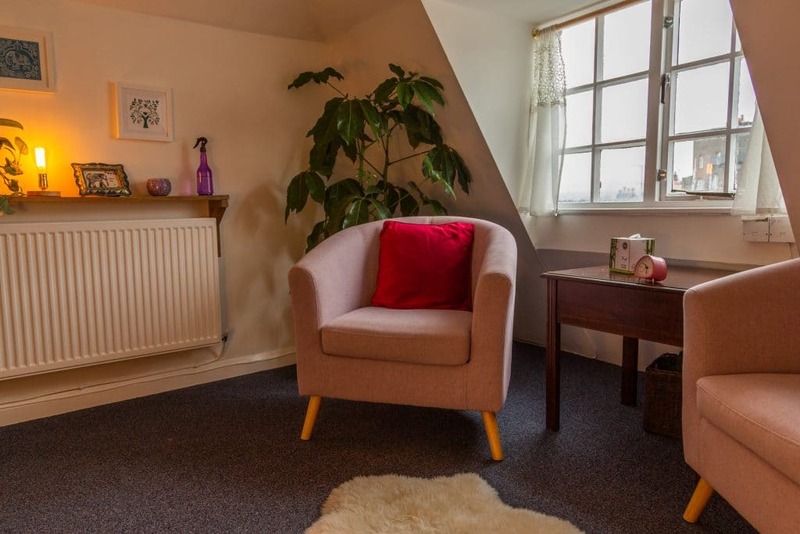 It’s position gives it a private feel, with a view over the rooftops of Bristol. It has the same comfortable tub chairs as the Jade room, and ample lighting for creating a warm atmosphere in the evenings.